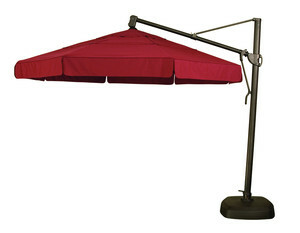 The 11 Ft. Octagon Cantilever umbrella is the ultimate addition to any outdoor living space. Not only does it provide an 11-foot area of shade (95 sq. ft.), this umbrella gives you to versatility to have sun or shade when desired.